Kiwi Pundit: DIRTY POLITICS-PART 5: When “the smiling assassin” Key assassinates characters, using hired hunting hounds. DIRTY POLITICS-PART 5: When “the smiling assassin” Key assassinates characters, using hired hunting hounds. We are in the eve of electing a new government and a desirable and honourable leader to be our prime Minister for another 3 years. 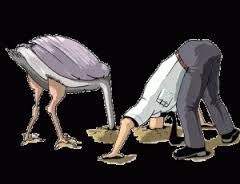 Coming from Fiji, dirt in politics in acceptable, but I am perturbed at naivety and gullibility of Kiwis who are passing off “Dirty Politics” as a left-wing conspiracy, with their heads in the sand. It is far from that-it reveals a face of John Key that average Kiwis do not know about. DAVID CUNLIFFE - the next Prime Minister of New Zealand after 2014 elections. John Key utilized attack politics and Cameron Slater to tarnish Labour's image in general and Cunliffe's in particular, trying to project him as a liar and untrustworthy person. It is hoped change in government is the only thing which will remove dirty politics so well nurtured between John Key, Cameron Slater and other right-wing bloggers. Attack politics has been quite popular as many people in position of power have benefited from this. They are mostly respectable and successful people who were willing to use the dirty and dishonest services of Cameron Slater and his colleagues, on the assumption that their crimes would remain hidden and deniable. Personal and corporate advantages trumped ethics. But the biggest beneficiary of and collaborator in the attack politics was the Prime Minister, John Key. By early in 2014 election year, John Key was working more closely than ever with Slater and Farrar. 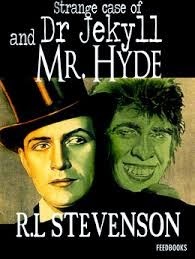 His staff was actively collaborating in a succession of political hits and stings. At that stage Key feared a close election and attack politics was a proven powerful tool. Yours truly also felt something dirty was going wrong with the daily postings in 2014 with relentless attacks against Labour and its coalition partners, and type of information revealed was as if Whale Oil had its ear to the horse’s mouth. As I noticed the trend of Slater to mount this attack on Labour Party on any and every small issues, such as when they farted and how it smelled [my comparison]. It became as dirty as it could get, with hound dogs, on constant trail of Labour There were about 500 articles attacking Labour in the first six months of the election year. Whale Oil in fact degenerated into Labour Party smear site. 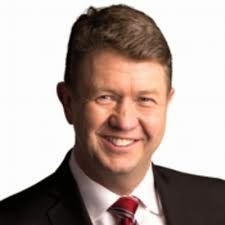 If David Cunliffe and Labour felt something was wrong, they were right-they were attacked by a pack of hunting dogs, hired by John Key and his National party hangers-on. 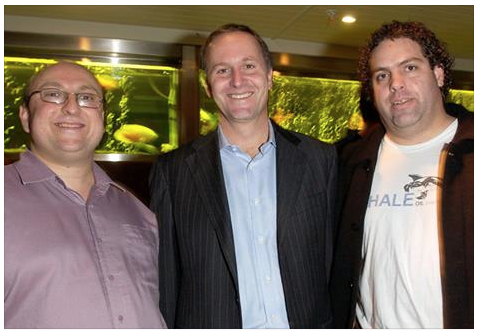 The Master and Prime Minister, John Key (middle) with key ( pun-intended) tag team of attack- right wing bloggers , David Faraar (left) and Cameron Slater, who is the leader of the attack-pack, which barks, bites and tarnishes the image of political opponents. Victims, among others, have been David Cunliffe, Winston Peters, Phil Goff and a very-badly mauled Mayor of Auckland, Len Brown. Informants include prostitute friends, among others. There was the case of Cunliffe’s grandfather’s military records or anything that could prove Cunliffe was a liar or somebody who could not be trusted. It was similar to ways blogs were used by US Republican Party where one staff’s job was to record everything that an opposition target said, and at any time anything ’stupid” was said, it was put on internet within 24 hours to be seen by a great number of people. This was the scenario Labour and Cunliffe were placed by Whale Oil. When Key first arrived back in New Zealand as a millionaire businessman and jumped into a safe National party seat, it emerged that his nickname while he was a currency trader had been “the smiling assassin” During the years he built closer ties and became more reliant on his lead hunting and attack hound, Cameron Slater, and his Whale Oil blog. Slater became a victim of his own foul-mouth with his gratuitous insult about the young “feral’ who died in Greymouth and “did [the] world a favour.’ In the ferocious public backlash that followed, Slater’s friends rallied around him to support him. According to revelations in his Facebook, one of those who phoned him to commiserate (console) was John Key. When the rest of the country was feeling appalled by Slater’s offensiveness, the Prime Minister of New Zealand was calling to show support. A two faced Prime Minister, using two-track policy of attack politics, with one face of PM as a nice, smiling person, while on the other side, hires mongrels and hounds in form of right-wing bloggers to maul and discredit political opponents, mostly Labour Party and its Coalition partners, including Winston Peters. 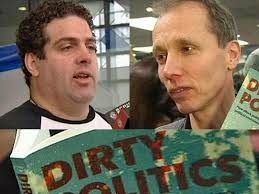 Slater’s comments about the man’s death are what apparently led to his website being taken down and eventually to the leak of the information that allowed this book [Dirty Politics] to be written. So, it is perhaps fitting that Key should share in this political karma. The retaliation against the remarks exposed both Key and Slater, the friendly and unfriendly faces of National, who secretly collaborated throughout the period of dirty politics. Unfortunately, people sometimes succeed in politics, as in other spheres, precisely because they are not ethical (like National Party?) There are simple rules about what is fair game in politics. It is legitimate to expose deliberate untruths, hidden influence and abuse of power: things that stop political people acting with integrity and accountability for their decisions and actions. But attacking other people’s personal lives and denigrating them as a tactic is not fair play. An overemphasis on small errors and slips also trivialises politics. Cameron Slater of Whale Oil Blog (left) and Nicky Hagar, author of Dirty Politics. Hagar names Slater as Prime Minister John Key's lead hunting hound to discredit political opponents, so that National Party's and Key's name remains untarnished. All countries need and deserve politicians who respect news media independence, freedom of information and the rights of their opponents; politicians who refrain from dirty tricks and abuses of power even when these could provide an advantage; politicians who would not knowingly use something as negative and unscrupulous as the Whale oil blog. It is never right to poison the political environment for short-term political game. People have to make a choice whether they want this type of dirt in their next government. Go ahead and make that change to clean New Zealand politics.